Apple has apparently been paying attention to the way musicians use their iPhones. If you’re like me, you’ve occasionally used Voice Memos for a quick musical idea or impromptu field recording. 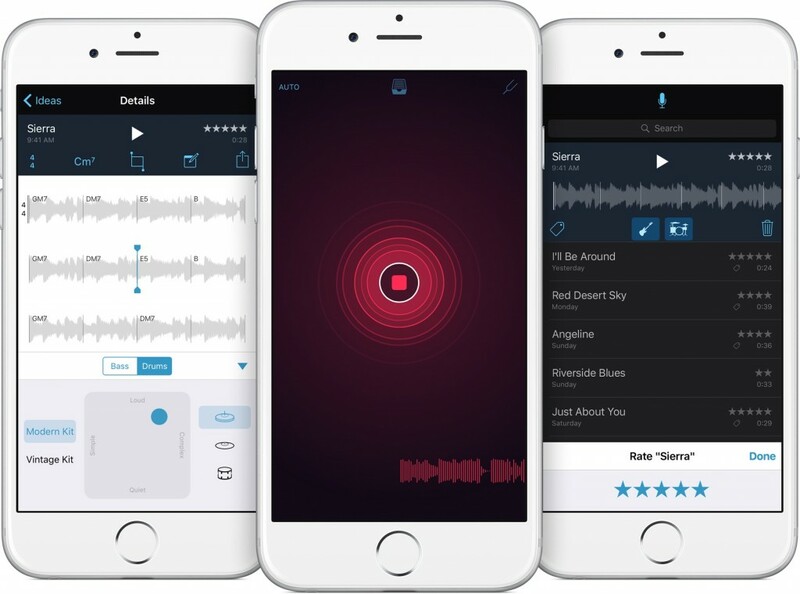 Apple is now turning that into an app, called Music Memos. So, what makes this different? Well, you get uncompressed audio, for one. There’s also additional metadata: tagging and rating. Okay, so far, no reason not to drop other third-party apps – I’m a big fan of Apogee’s MetaRecorder. But here it gets surprising: there’s built-in analysis of rhythm and harmony, so you get an automatic accompaniment to whatever you’ve created and a rough notation view of the recording. There’s also sharing over email or Apple Music Connect. I’m meeting with Apple tomorrow, if you have any questions. Music Memos is free, and happily works back to the iPhone 4s and iPad 2.